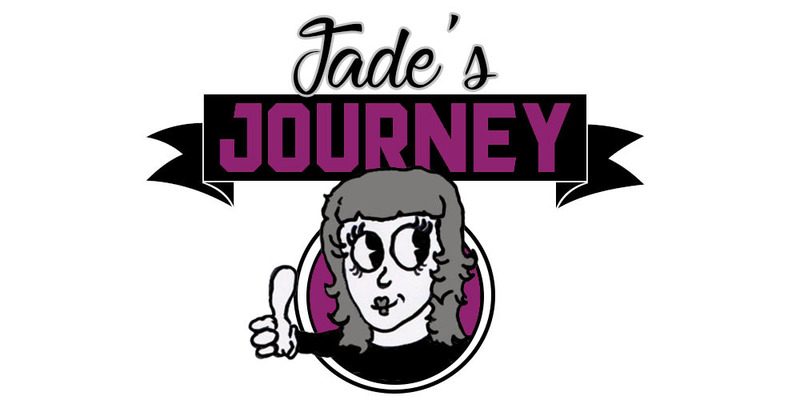 If you have a doll in need of a hair make over then keep reading. The other day I came across a bargain in a charity shop, a Disney Ariel doll. At a pound I couldn't resist getting it for my daughter, she came naked and a bit of felt tip on her face but I knew that could all be fixed. The hair however I wasn't so confident in fixing. 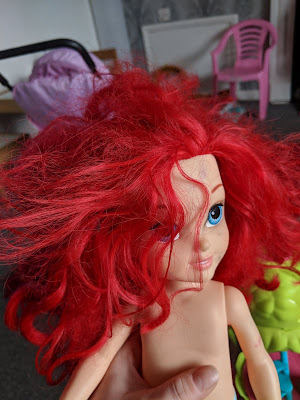 Clearly Ariel had spent a lot of time in water and her hair had become one big dreadlock. I thought of just trying it back with a hair band after all Eryn would love her none the less. The more I stared at her the more it bugged me. I tried to just brush it but to no avail. 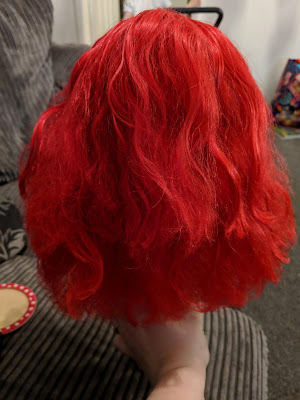 I knew the hair was material based so I mixed up a solution of fabric conditioner (2tbsp) and warm water. With my solution in a spray bottle and took to her hair. 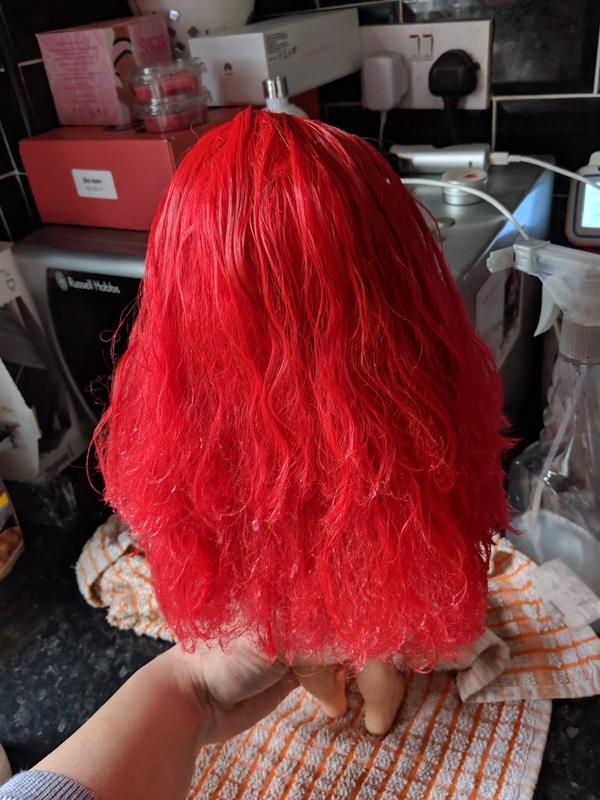 I made as small a section as I could soaked her hair in the solution and combed it through. 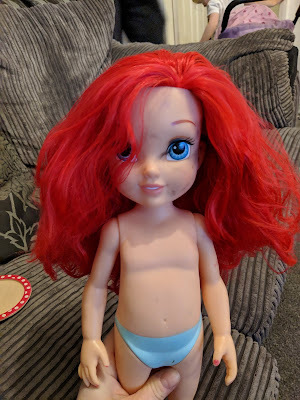 After finishing all the sections I left Ariel to dry her hair. It didn't know if it would stay as flat but it looked a lot better. 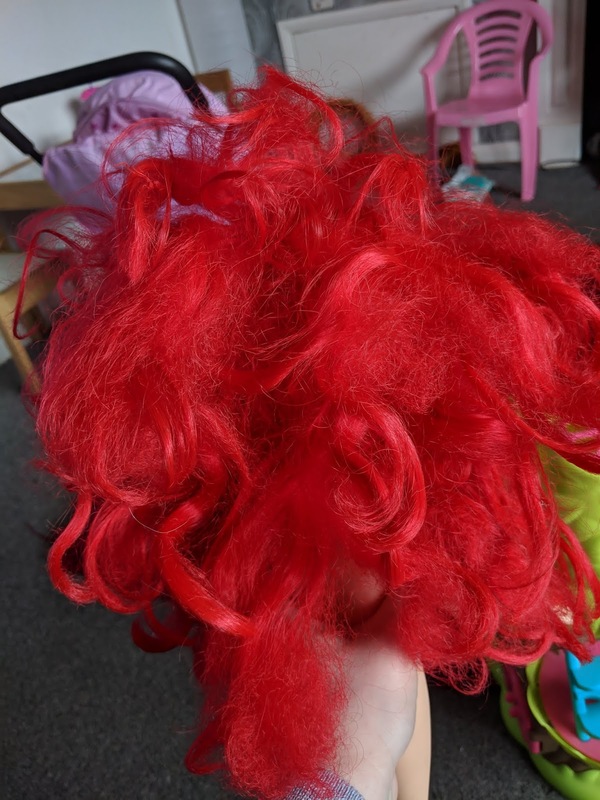 Here is how Ariel's luscious locks look after drying. As you can see it has gained a bit of volume but it's looks so much better then being a mass.